EVS field trip 2 nd Nov .2017 EVS fieldtrip is a part of curriculum recommended by SPP University for to produce awareness to student about natural resources, energy conservation, pollution, population, nuclear hazards and disaster management to understand their responsibilities toward the nature and measures to prevent its destruction. 5th June 2017- A small initiative taken by our college to inspire and create awareness among the students about the importance of environment conservation. 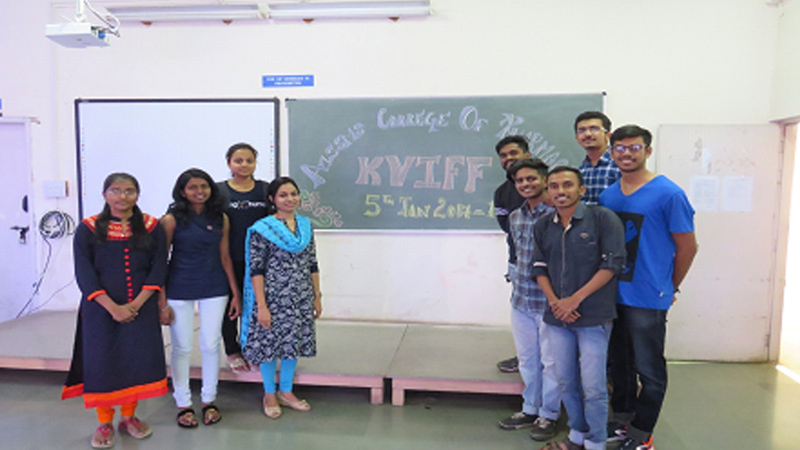 KVIFF FILM-FEST 2017 6th January, 2017 The AISSMS College of Pharmacy, Pune has always been on the forefront for the preservation and protection of The Environment. Various talks, conventions and discussions are held each year related to the topic of Environment. One such convention is the Kirloskar Vasundhara International Film Fest or the KVIFF. KVIFF is an international environment film festival organised by Kirloskar Proprietary Limited and Vasundhara Club. IT provides a platform to raise awareness about the Environment and all the issues relate to it through the medium of films which helps to increase its base impact. 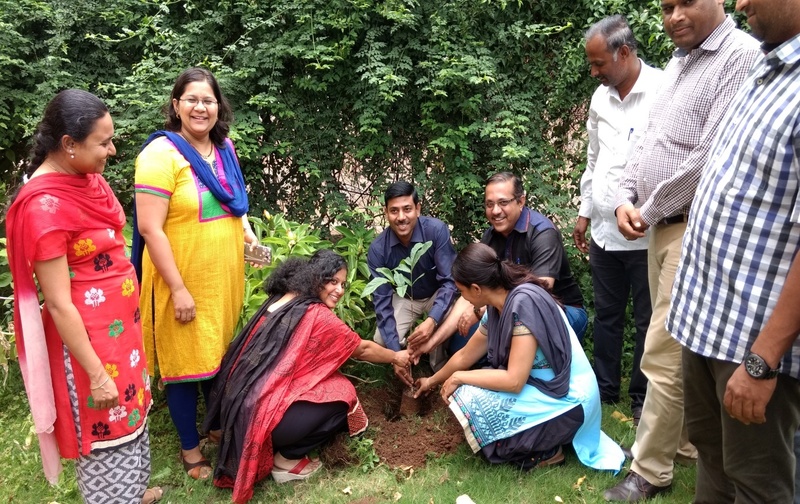 22nd April 2016 Bird friendly campus and tree plantation Environment programme was conducted in AISSMS College of pharmacy as a celebration of the world earth day on 22 April 2016. NO VEHICLE-DAY 22nd September 2016 . 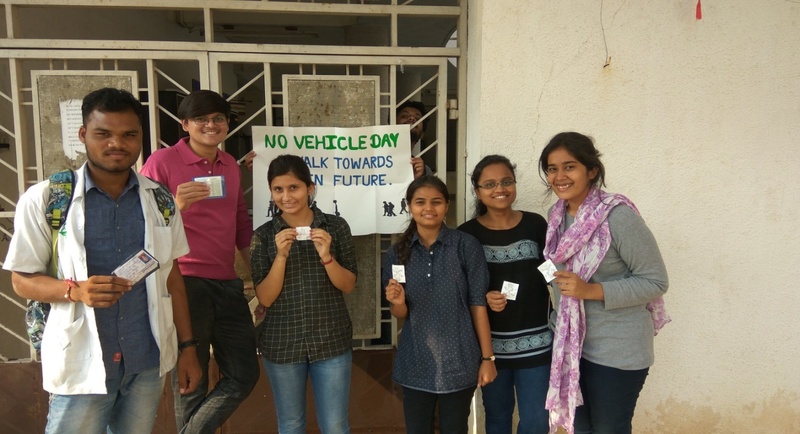 On this day, the students and stuff were urged not to use their own automobiles for transport and to rely mostly on more eco-friendly ways of transportation like the Municipal Transport or cycling or walking. The day was celebrated to reduce, for at least a day, the ever-increasing load on the environment via air-pollution and also to promote the use of public transport. EVS field trip 15/10/2015 EVS field trip was arranged for second year B. Pharm. (Sem III) students on 15/10/2015 (Saturday) at Thosegher and Sajjangad. 67 students were accompanied by 4 staff members. The students gained a thorough exposure to different ecosystems, plants species, and their uses at deciduous forest. Students were explained regarding extinction of various plant species in India and also existence of Rehabilitation centres. 14th September 2016 This year, instead of just buying something from some random shop and ‘routinely’ giving it to the teachers, the students of AISSMS College of Pharmacy showed their love and appreciation for the teachers by gifting them with articles like pen-stands, paper flowers and various other decorative items that the students made with their own hands. 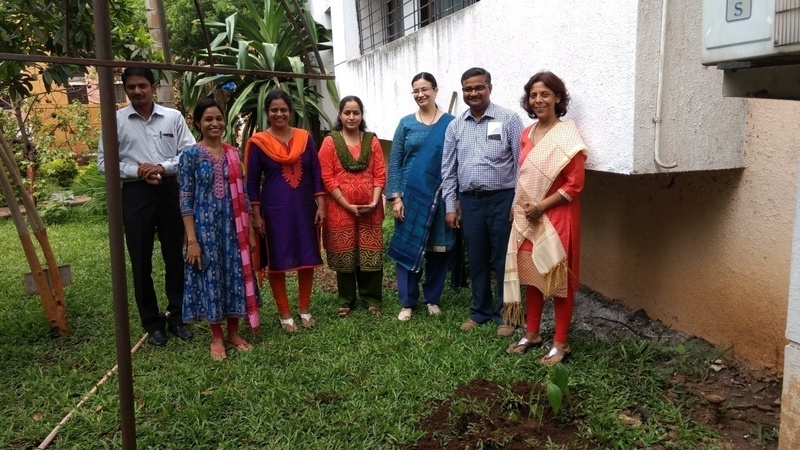 Thus the students acknowledged the teachers efforts while caring for the environment. 10th KVIFF FILM SCREENING 8th July,2016 KVIFF(Kirloskar Vasundhara International Film Festival) which is conducted by Kirloskar Vasundhara, is an annual and the only Indian festival of its kind. A number of thought-provoking and riveting films were part of the line-up. 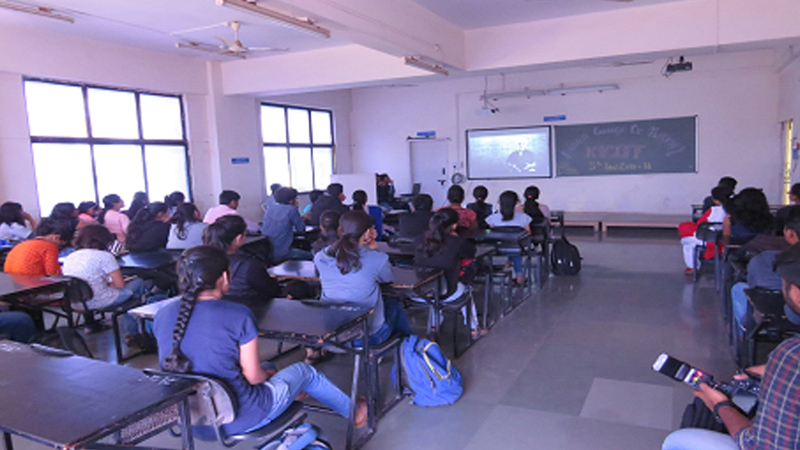 A wide array of topics tackled by the films, ranging from the towering landfill mountains of Delhi ,to the heartless poaching and trafficking of exotic butterflies of the Malabar to various parts of the world ,made all the students stop and think again….About their environment ,about their duty towards it and about their dying Mother Nature. EVS field trip 31/10//2015 EVS field trip was arranged for second year B. Pharm. (Sem III) students on 31/10//2015 (Saturday) at Bhimashankar,Ambegaon. 66 students were accompanied by 3 staff members The students gained a thorough exposure to different ecosystems, plants species, their uses, Semi deciduous forest. Students also visited Avasari Ghat. Students were explained regarding extinction of leopards in India and also existance of Rehabilitation centre for leopards at Avasari Ghat. Further moving on to Bhimashankar environmentalist and botanist discussed about various types of plants and animal species residing in Semi-deciduous forest. EVS field trip 1/10/2014 EVS field trip was arranged for second year B. Pharm. (Sem III) students at Kas plateu, Satara. The students gained a thorough exposure to different ecosystems, plants species, their uses. EVS field trip 23/11//2013 EVS Field Work is a part of Second Year B.Pharm curriculum. According to that EVS field trip was arranged for second year B. Pharm. students Palshiwadi, Baramati. 72 students were accompanied by 4 staff Students also visited Agri Tourism farm at Palshiwadi and studied about Land eco-system, Hill eco-system and Pond eco-system. EVS field trip 2nd November 2012. EVS Field work is a part of second year B.Pharm curriculum. According to that EVS field trip was arranged for second year B.Pharm students at Mulshi Students were taken to Velnewadi and studied about Forest ecosystem, Lake Ecosystem, Stream ecosystem, Hill ecosystem.